Low carb diets have been around for years, but their role in health has been questionable. Based on the principle that if you cut carbohydrates out of your diet and replace them with fat and protein, these diets have been linked to improving performance and glucose control, as well as increasing the risk of heart disease and some cancers. So what is the truth about low carb diets? Are they good for you? Do carbs really make you fat? Get the facts about low carb diets. The confusing part is that there are different types of carbs, some that can contribute to weight loss and some that make it harder. Carbs aren't inherently bad; eating too much of anything can cause weight gain. However, learning to choose carbs that offer more fiber, vitamins and minerals will make losing weight easier. Simple carbs such as candy, sodas, and juice are quickly digested and can be used immediately for energy. However, they also spike blood glucose levels, which inevitably leads to a crash when your blood sugar drops. Simple carbs (such as honey) can be an ideal choice just before an intense cardio workout like sprints, but they're not a great choice for snacks or meals since they can leave you hungry and tired. Complex carbs take longer to digest and come from things like whole grain products, vegetables, and fruits. They are slowly released into the body, unlike simple carbs, so you don't get that sugar rush followed by the painful sugar crash. Regardless of the type of carbs you eat, all are treated the same way in your body—they are all broken down into sugars during digestion. But, complex carbs are almost always the best choice because they are naturally low in fat, high in fiber, and provide tons of vitamins and minerals. 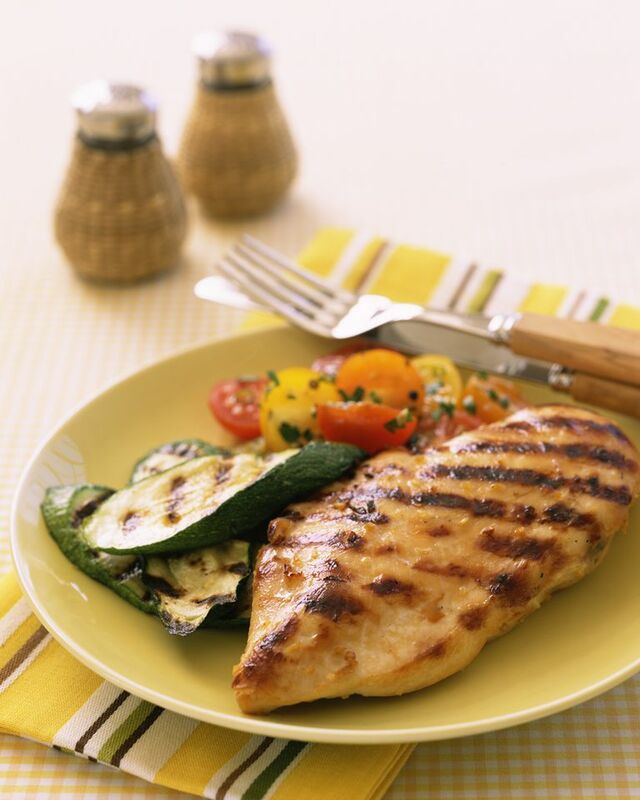 Every low-carb diet is different and requires varying amounts of carbs, protein, and fat. However, the common theme is this: eating high-carb causes an overproduction of insulin which leads to overeating, obesity and insulin resistance. Proponents of low-carb diets believe that when you eat too many carbs, insulin becomes less effective at carrying sugar to the cells which results in more sugar being stored as fat and the condition called insulin resistance. It is thought that 75 percent of Americans are insulin resistant, which sets the body up for type 2 diabetes and obesity. Typically a low-carb diet is one that limits carbohydrate consumption to less than 45 percent of total daily calories. And science has been studying these diets which vigor in the past years, looking for ways to keep diabetes and obesity at bay. For instance, recent studies in the New England Journal of Medicine report that participants who successfully followed low-carb plans for six months lost more weight than those who ate low-fat. Those on the Atkins diet raised their levels of "good" HDL cholesterol. Note: Almost half the participants dropped out of their programs and, after a year, the Atkin's followers regained up to a third of the pounds they lost. Which shows that following these diets is a difficult endeavor. The American Heart Association (AHA) is concerned. After a review of five of the most popular high-protein diets, they concluded that these diets may encourage quick weight loss but the long-term consequences of a high-fat diet are worse. But other studies in diabetics show that these diets are superior when it comes to controlling blood glucose levels and decreasing the need for insulin. These studies have also been shown to improve insulin resistance. The question is: Do the short-term benefits of high protein diets (weight loss) outweigh the long-term consequences (risk of heart disease)? That's what scientists are trying to find out, but the answer may come in the form of personalization. What does all this mean and who's right? Unfortunately, there aren't any definitive answers from the information we have available. The important thing is that scientists are asking questions, putting together new studies and are determined to get to the bottom of this question. In the meantime, what should you do? Choose moderation. Carbs aren't bad. Fat isn't bad. Protein isn't bad. But too much of any or all of these can lead to weight gain. Create your own healthy diet. What small changes could you make to make your diet more healthy? It's possible to eat the same amount of food and lose weight if you cut your fat even a little. You don't have to give up carbs completely. Simply choosing complex carbs (fruits and veggies) over simple carbs (soda/candy) can make a huge difference, especially when it comes to the amount of insulin your body is producing. Remember that most diets create a calorie deficit. This will lead to weight loss regardless of what you eat. Stick with diets that safely reduce your calories to a reasonable level and that don't leave you starving. In the end, it's your choice what diet you want to follow. It all comes down to calories...too many and you gain weight, while a safe reduction will help you lose weight. Period. It's much easier to reduce your calories by making small changes in your current habits than to change your entire lifestyle overnight, as many of these diets require. Oh, and don't forget to exercise. How Do Low-Carb Diets Affect Your Cholesterol and Triglycerides?